The Maryland Blended Reality Center brings the unique tools of augmented and virtual reality (AR and VR) to bear on four high-impact areas. 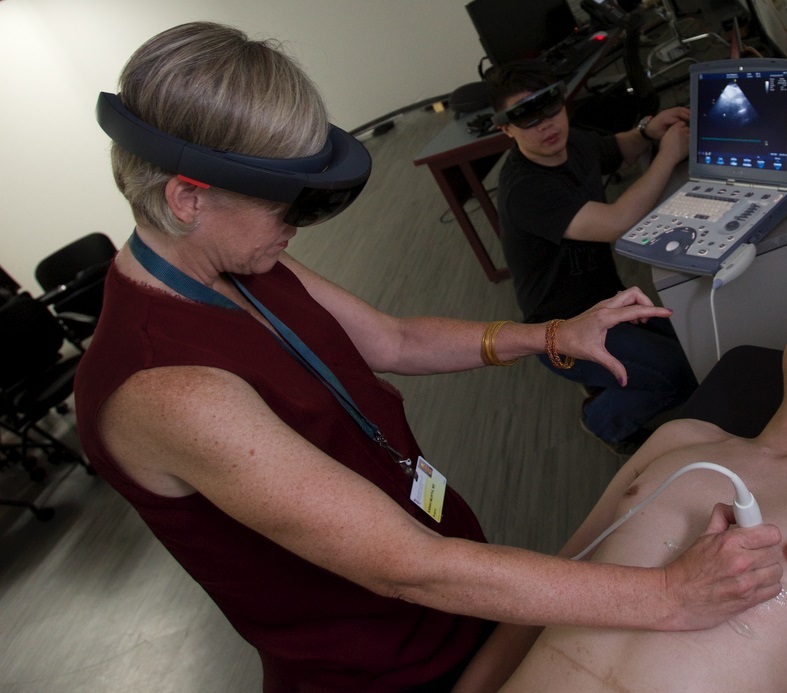 Critical-care patient diagnostics: Our team has collaboratively carried out pilot studies to integrate ultrasound with AR headsets; our next step is to deploy the prototype in the field. Human anatomy education for healthcare providers, patients, and athletes: We are creating a series of interactive blended reality (AR/VR) modules designed to teach and experience human anatomy immersively; these environments will provide real anatomy learning away from the dissection lab or to learners unable to participate in hands-on training. Non-opioid pain management: We are developing immersive environments and studying their effect on reducing opiate and benzodiazepine use in athletic and traumatic injury. Training to combat implicit bias: Our team is adapting virtual environments for better understanding of and intervention around implicit bias, developing new tools that law enforcement agencies in particular can use to improve training on these issues.